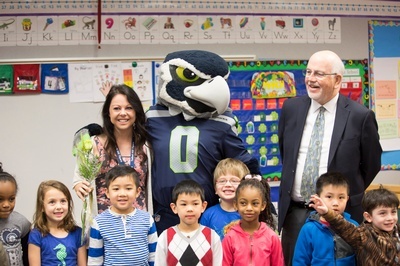 One area of distinction in Renton is our desire to honor and embrace the teaching profession. 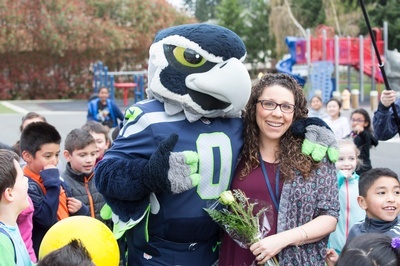 The Renton Chamber of Commerce, Renton Reporter, Seahawks and several business organizations join together to sponsor and give back to teachers of distinction chosen by the community. 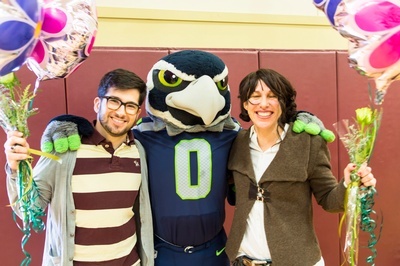 Renton teachers are nominated as difference makers from students, peers, parents, etc. 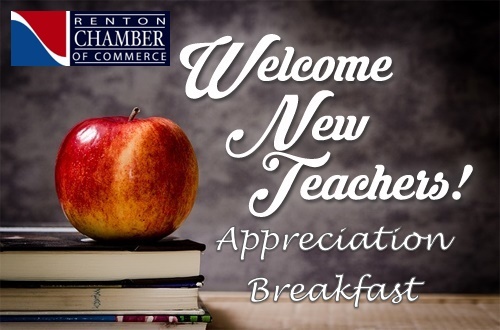 Nominations are opened through the school district, Renton Reporter, Chamber, and every channel available. Last year 201 nominations came in and 47 were invited to submit applications. A selection committee of local volunteers read through the applications and picks 10 finalists to interview. The finalists are notified and Blitz along with local officials show up at the classroom and inform the teacher they are a finalist and present their official invitation to attend the awards ceremony. 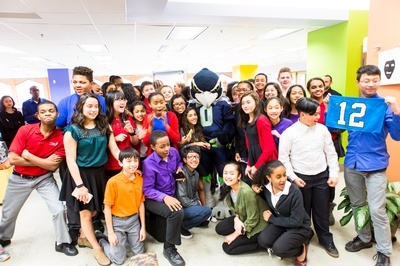 Imagine the excitement of the class as they grab their phones ?selfies with Blitz?. Next step is the ceremony. This year's event will be April 2nd. 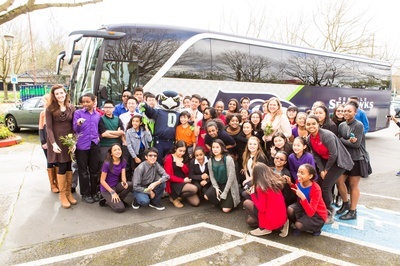 The ten are invited to an awards ceremony at VMAC, the heart of Seahawks territory . The top five are awarded a $500 cash prize the remaining five receive $100 each along with an engraved award. April 2th from 6:30 pm to 9:00 pm. TEACHERS ARRIVE AT 6:00 pm.